Situational awareness: Political risks are moving markets once again, the Wall Street Journal reports — noting that investors were rattled by the tense G-7 meeting, but that markets were mostly climbing ahead of the North Korea summit. 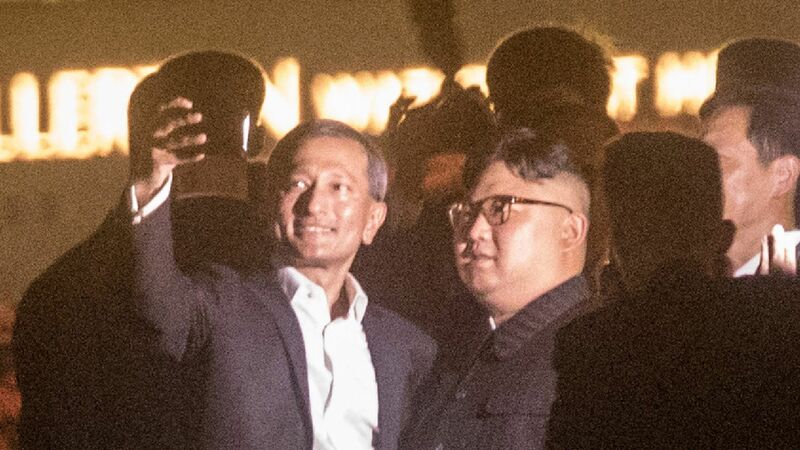 “After greeting each other for the first time Tuesday in front of reporters, the American president and the North Korean leader will seclude themselves on Singapore’s Sentosa Island for roughly 45 minutes while their entourages wait nearby." 9 am local [9 pm ET]: Trump greets Kim, with a 45 minute one-on-one meeting (which will include translators) beginning at 9:15. 10 am: Pompeo, Chief of Staff John Kelly, and National Security Advisor John Bolton join for an expanded bilateral meeting. 11:30 am: Press Secretary Sarah Sanders, Ambassador Sung Kim, and NSC Asia chief Matt Pottinger join the group for a working lunch. 4 pm: Trump holds a press conference. 7 pm: Trump departs for Washington, by way of Guam and Hawaii. One more thing: Trump's first interview will be Tuesday night with Sean Hannity, Axios' Jonathan Swan scoops this afternoon. Go deeper on this story by signing up for Axios World, coming later this afternoon, and stay with Axios.com for all of the summit news. The Treasury Department has sanctioned several Russian entities and individuals for their involvement in cyberattacks. The details. Immigrants who suffered domestic or gang violence won't automatically get asylum anymore, Attorney General Jeff Sessions announced this afternoon. Why it matters. The Supreme Court upheld Ohio's purge of thousands of registered voters who hadn't voted in recent elections. The background. Suicide rates have increased in almost every state since 1999, according to the Centers for Disease Control and Prevention. See the changes. Barack Obama has talked with at least nine Democrats who might run for president in 2020, Politico reports. Who they are. 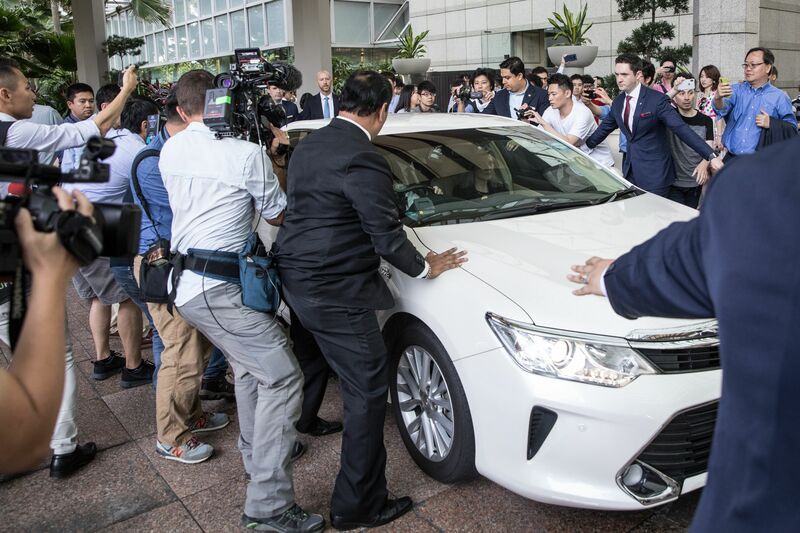 And Dennis Rodman has arrived in Singapore, per Reuters. Are you excited about IHOb (the marketing stunt where International House of Pancakes is emphasizing "b" for "burgers")? Turns out the announcement drew a few hecklers. NASA's Goddard Space Flight Center tweeted a photo of a flat galaxy and declared, "We're partial to pancakes." The Texas burger chain Whataburger tweeted: "As much as we love our pancakes, we'd never change our name to Whatapancake." From Waffle House: "Long-term consistency trumps short-term intensity. - Bruce Lee." From Netflix: "brb changing my name to Netflib." And from Chrissy Teigen: "IHOb is the guy who gets a face tattoo of the girl’s name after 1 date."